← Should We Celebrate Failure Worth A Billion? I like this phrase: all politics is local. Ascribed to the late Speaker of the U.S. House of Representatives Tip O’Neill this phrase means that all political decisions, regardless of their purpose and scale, must take into account the interests of local constituents, the folks who’re sending politicians into the offices. 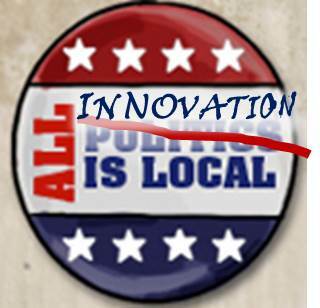 In a sense, innovation is local too. What I mean by this is that no matter how many “general rules” of innovation we might invent, every industry and every field would modify these rules to fit its specific needs and circumstances. Take, for example, rapid prototyping. Everyone would agree that the efficiency of the innovation process can be dramatically improved by creating of a quick-and-dirty version of new product or service, allowing immediate assessment of their feasibility, scale-up potentials and, mostly important, attractiveness to end-users. Such a rapid prototyping not only speeds up the innovation pace; it also saves a lot of money by the timely weeding out failed options (remember the “fail fast, fail cheap” mantra?). Rapid prototyping has proven its worth in many cases, most notably, in software and consumer goods markets. But is rapid prototyping feasible in every field? Unfortunately, not. Consider drug development. There are a number of research tools– in vitro and in vivo systems, animal models of human diseases, etc.–that could conceivably serve as “quick-and dirty” prototypes for testing the efficiency of candidate drugs. However, in such a tightly regulated business as drug development, this isn’t enough. The proof that a candidate drug works–and this is the only proof that matters to the FDA–comes as late as in the Phase III clinical trial. As I pointed out in my previous post, there are two extremely troubling aspects of Phase III clinical trials: first, they are shamefully expensive, costing up to a billion dollars, and, second, horribly failure-prone, with roughly 30-40% of Phase III clinical trials ending up in failures. Is it then surprising that while investment in pharmaceutical R&D has doubled since 1997, the number of approved drugs for the same period has been largely stagnant? Any approach that would allow reliable estimate of drug efficiency before Phase III clinical trial (rapid prototyping of sorts) would have dramatic positive effect on the whole process of drug development. Or take the celebrated Voice of the Customer (VOC) approach. It’s a common place now to say that any successful innovation must start with identifying unmet customer needs. Or, wording this in more practical ways, when starting to design a new product or service, one must make sure that in the end, there will be consumers and customers willing to pay for this product/service. Consequently, a great number of techniques aimed at identifying what customers do or may want have been developed: market surveys, focus groups and ethnographic methods, to name just a few most popular. This is not to say that pharmaceutical companies completely refuse to listen to their customers. Over the past few years, companies have begun actively soliciting patient input into design of clinical trials–to make sure that the treatment protocols are patient-friendly enough to ensure high patient complacency. Transparency Life Sciences, which calls itself “the world’s first drug development company based on open innovation,” went a step further: it uses crowdsourcing to design clinical trial protocols for a number of indications. So what is my point? My point is that as innovation management gets more matured, we should start creating customized sets of innovation tools appropriate for specific industries, disciplines and business functions. In other words, for innovation to realize its global appeal, it must go local. This entry was posted in Health Care and tagged Clinical Trials, consumer-centric healthcare, Crowdsourcing, disease advocacy organizations, Drug Development, druggable molecular targets, FDA, Innovation, Innovation Management, Open Innovation, patient groups, Phase III clinical trials, R&D processes, rapid prototyping, Tip O’Neill, Transparency Life Sciences, unmet customer needs, unmet medical needs, VOC, voice of the customer. Bookmark the permalink.